According to Wichita’s KWCH Eyewitness 12 News, Kenny Chesney will play a show in Wichita, Kansas this April. Country music superstar Kenny Chesney is making a stop in Wichita in April. A spokeswoman from INTRUST Bank Arena confirms, Chesney will perform there on April 13 as part of his “Goin’ Coastal Tour 2011″. No other details about the show, including ticket information, have been released. There are still many more dates to be announced. See the dates that have been announced so far here. 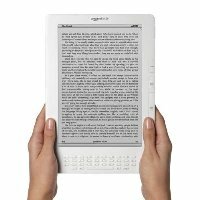 Many of you now have smartphones or e-readers like the Kindle. Did you know Chesney World offers optimized versions of the site for viewing on the go? Just this week we added a mobile-friendly version of the site. Open up the site on your smartphone and you’ll find a stripped-down page that loads quickly and focuses mostly on getting you the text in articles. Any images included in stories are still displayed, and navigation is quick and easy. At the bottom of the mobile page is an option to turn off the mobile theme to view the full site. If on the full site you want to go back to the mobile site, you can do so at the bottom of the page. If you’ve got a Kindle, you can get Chesney World’s full articles (with images) auto-delivered wirelessly via Whispernet! The subscription runs $1.99 per month and includes a 14-day free trail. Get CW on your Kindle now! You can also find it by searching for “Kenny Chesney” in the Kindle Store right from your device. This is just another way to get the best and latest Kenny Chesney news. You can also stay connected through Facebook, Twitter, and E-Mail Updates. Kenny Chesney is marching up the chart again with his latest single “Somewhere With You”. After landing at #18 last week on the Billboard Top Country Songs Chart, the single climbed three spots this week to #15. Preview and download the song below from Amazon, or get it at iTunes. Shortly after the 2010 Super Bowl, there was a lot of talk about Kenny Chesney performing during the Halftime Show of the 2011 Superbowl at Cowboys Stadium in Dallas. A Facebook group (which now has over 6,700 Likes) promoting Kenny as the performer garnered some media attention, and Kenny was even rumored to be on the short list of performers being considered. But alas, the coveted slot will not go to any country act. It was announced today that the Black Eyed Peas will be the marquee performer at Super Bowl XLV on February 6th. Though you won’t be able to see Kenny perform at Cowboys Stadium during the Super Bowl, you will be able to see him there when he performs on April 16th with the Zac Brown Band, Billy Currington, and Uncle Kracker. The movie hit theaters in April, then DVD and Blu-ray in June, and in February Kenny Chesney’s Summer in 3D will be released on Blu-ray 3D. Amazon.com has the Blu-ray 3D/Blu-ray single disc combo listed with a release date of February 22, 2011. Though the film was released on Blu-ray through Kmart back in June, this will be the first time it’s out in Blu-ray 3D. To watch, you’ll need a 3D HDTV (with glasses) and 3D Blu-ray player (Playstation 3 is now compatible). In addition to the new 3D version, the cover says that the Blu-ray combo will contain bonus features, including a director’s cut, 7 bonus songs, and never before seen footage. Pre-order now at Amazon for $14.99. The ticket-selling giant TicketMaster claims a “pricing error” is to blame for $25 Kenny Chesney tickets for the June 18th concert in Philadelphia. Thought you were getting a good deal? Well, if you want to keep those tickets you’ll have to fork over an additional $74.50 or your tickets will be no good. Ticketmaster is cancelling $25 tickets it mistakenly sold for Kenny Chesney’s June 18, 2011, concert in Philadelphia, because Ticketmaster said the tickets were supposed to be priced at $99.50 each. How many erroneous tickets the company sold to the Lincoln Financial Field show is unknown, but considering the singer-songwriter’s immense popularity, and the size of the stadium, the number could be in the thousands. The stadium, which is best known as the home of the Philadelphia Eagles, holds close to 70,000 spectators, and the seats in question were in the upper deck Club Level sections. Tickets for the concert went on sale on Saturday, November 13, and fans who ordered the $25 tickets were notified of the mistake in an e-mail sent out this past weekend. Ticketmaster apologized for the mistake and gave fans the choice between receiving a full refund or re-purchasing the tickets at new price, which is three-times more expensive. Read TicketMaster’s email to ticket buyers here. Did this affect any of you? Another stadium show has been added to the 2011 Goin’ Coastal Tour. Kenny Chesney, along with the Zac Brown Band, will perform August 13th at the New Meadowlands Stadium in East Rutherford, New Jersey. The Meadowlands is home to the New York Giants and New York Jets NFL teams. The show goes on sale December 11th and makes Chesney’s first ever stadium show in the tri-state area. Billy Currington and Uncle Kracker will also perform for what is being billed as the “Meadowlands Country Music Festival.” The show will be the first major concert at the New Meadowlands.